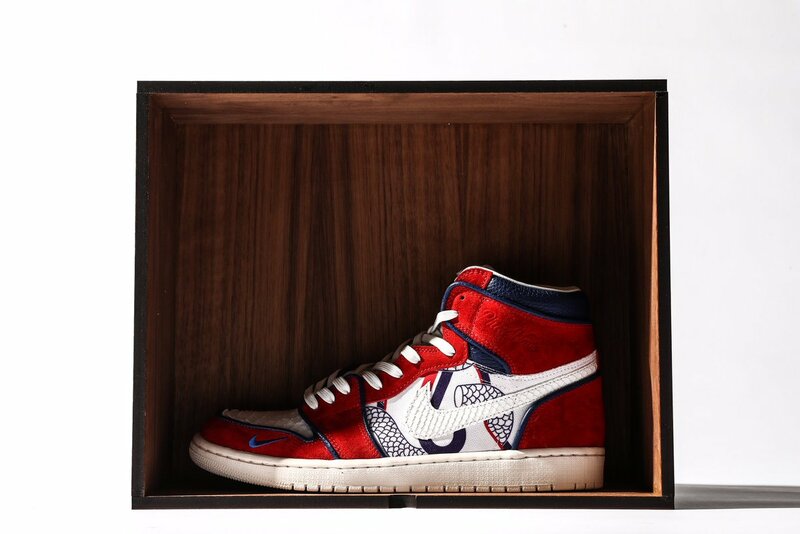 In celebration of the start of the NBA Playoffs, the Philadelphia 76ers teamed up with UBIQ for an exclusive run of "PHILA Unite" Air Jordan 1s. According to Sole Collector, only 10 pairs of the Air Jordan 1s were made and they're to be given out to celebrity fans. 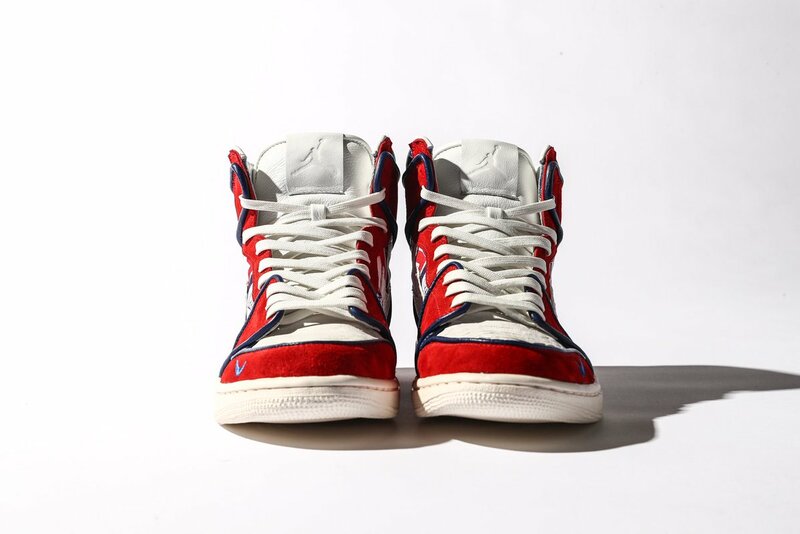 The Air Jordan 1 "PHILA Unite" consist of a red suede with white, snakeskin detailing on the toe and Nike swoosh and blue premium leather detailing around the ankle collar and piping. Additional details include a white leather tongue with a plush, white leather inner lining, "PHILA Unite" text embossed into the ankle collar, and Philadelphia's segmented snake logo on the mid panel. 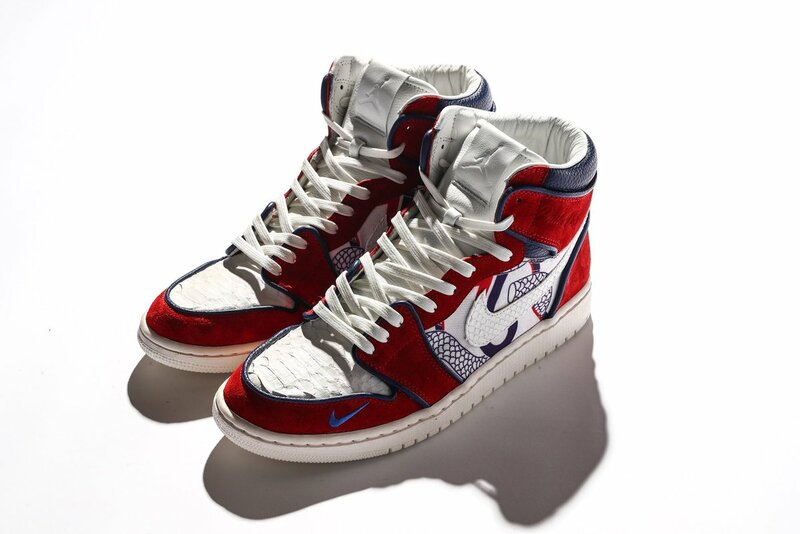 Some notable Sixer-fan celebs include Meek Mill, Kevin Hart and, of course, Allen Iverson - though it remains to be seen exactly who will be blessed with the exclusive AJ1s. The Sixers (50-31) will host the Chicago Bulls in the regular season finale on Wednesday night, although they are already locked into the #3 seed in the Eastern Conference. Check out some additional photos of the "PHILA Unite" Air Jordan 1s below, and keep your eyes peeled to see which lucky celebs receive them.